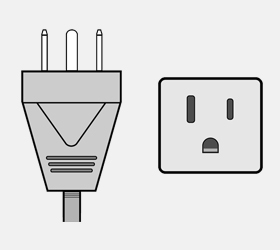 Mainly used in the USA, Canada, Mexico & Japan. 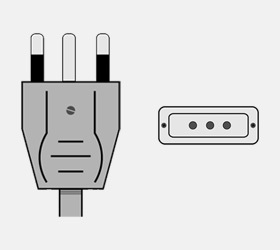 Socket compatible with plug type A. Mainly used in the USA, Canada, Mexico & Japan. 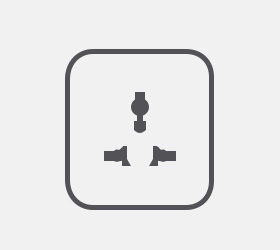 Socket compatible with plug type A & B. 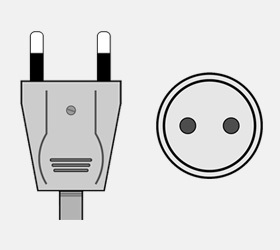 Commonly used in Europe, South America & Asia. 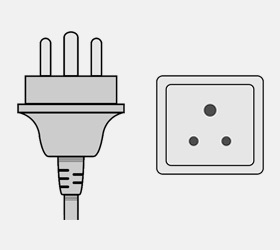 Socket compatible with plug type C.
Mainly used in India. 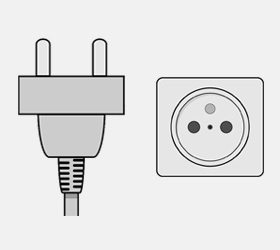 Socket compatible with plug type D.
Primarily used in France, Belgium, Poland, Slovakia & Czechia. 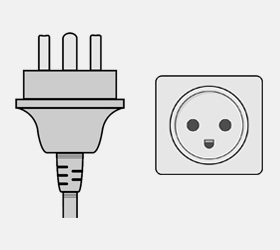 Socket compatible with plug types C, E & F.
Used almost everywhere in Europe & Russia, except for the UK & Ireland. 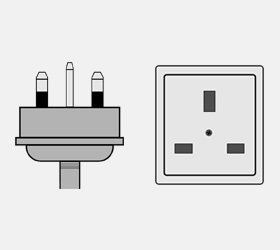 Socket compatible with plug types C, E & F.
Mainly used in the United Kingdom, Ireland, Malta, Malaysia & Singapore. 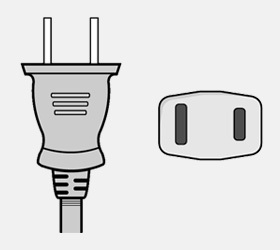 Socket compatible with plug type G.
Used exclusively in Israel, the West Bank & the Gaza Strip. 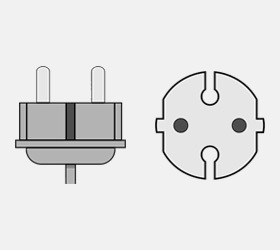 Socket compatible with plug types C & H.
Mainly used in Australia, New Zealand, China & Argentina. 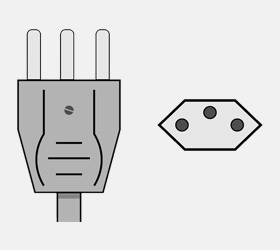 Socket compatible with plug type I. Used almost exclusively in Switzerland, Liechtenstein & Rwanda. 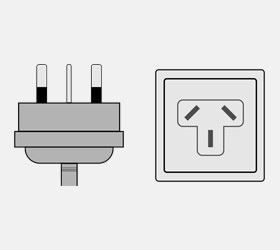 Socket compatible with plug types C & J. Used almost exclusively in Denmark & Greenland. 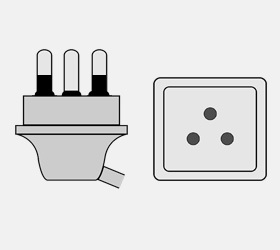 Socket compatible with plug types C & K.
Used almost exclusively in Italy & Chile. 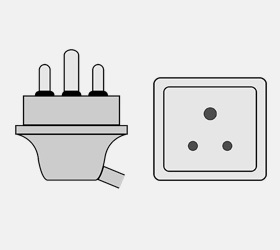 10 A socket compatible with plug types C & L / 16 A socket compatible with plug type L.
Mainly used in South Africa. 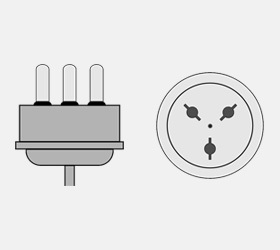 Socket compatible with plug type M.
Can be globally used. 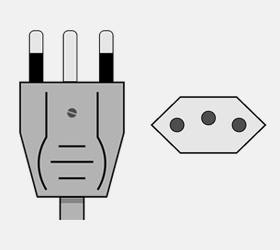 Socket compatible with all types of plugs.